The external ear canal runs from the opening of the ear to the ear drum and is about 2.5 cms in length. In the early childhood days the first two third portion of this canal is made up of cartilage and the last one third portion is made up of bone. As child grows to adult this proportion is reversed changing the first one third portion to be made up of cartilage and the remaining two third portions to be made up of bone. Ear canal is lined with skin which is directly attached to the bone. Glands in the skin produce a waxy substance called ear wax which is known by the medical term cerumen. Ear wax protects ear canal form bacteria by keeping it very acidic. 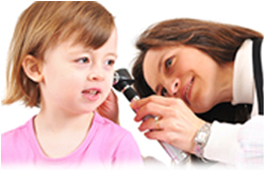 Otitis externa is the ear infection caused by bacteria, fungi and viruses. Otitis externa is usually found in summer season as people used to stay in ponds and swimming pools for longer time during summer season. Continuous exposure of the ear canal to moisture results in the loss of cerumen. The decrease in the acidity of the ear canal caused by the loss of cerumen creates an atmosphere conducive for the rapid growth of bacteria in the ear canal. Another reason for the growth of otitis externa is the continuous use of cotton swabs to clean the ear canal. This does not allow the normal cleaning mechanism of the ear canal to work. Symptoms of otitis externa start with itching in the ear which is accompanied by quick and sever pain. The ear canal becomes swollen and yellowish green and pus starts effusing from the ear. Sever cases of otitis externa is accompanied by fever and as the canal becomes more swollen the hearing becomes muffled. This results in enlarged and tender lymph nodes in both front and back sides of the auricle. When the otitis externa becomes serious and life threatening it is known as malignant otitis externa. In malignant otitis externa the bacteria spreads into internal parts including the skull and may result in the paralysis of the jaw and facial muscles. This infection may lead to meningitis, brain abscess etc. Severe ear pain which makes it impossible to touch the ear itself is ample proof of otitis externa. Swelling of the ear canal is also an evidence for this condition. A specimen swabbed from the swelling can be sent for culturing for identifying the organisms causing the situation. If the disease is malignant otitis externa, then computer tomography and MRI scanning can be done to determine the intensity of the disease. This will help the physician to decide the site for biopsy. Applying antibiotics direct to the affected skin is an effective method of treatment. Medical preparations which include antibiotics and steroids are also considered to be very effective. The steroid helps to reduce the inflammation and swelling in and around the ear. Some medical practitioners insert a medicated wick inside the ear cavity and leave it there for 48 hours. After removing the wick medications are applied directly to the affected areas three to four times a day. In the case of malignant otitis externa the antibiotics are applied through vein. If the images received through MRI scan show extensive spreading of infection then medications would have to be continued for about six to eight weeks.